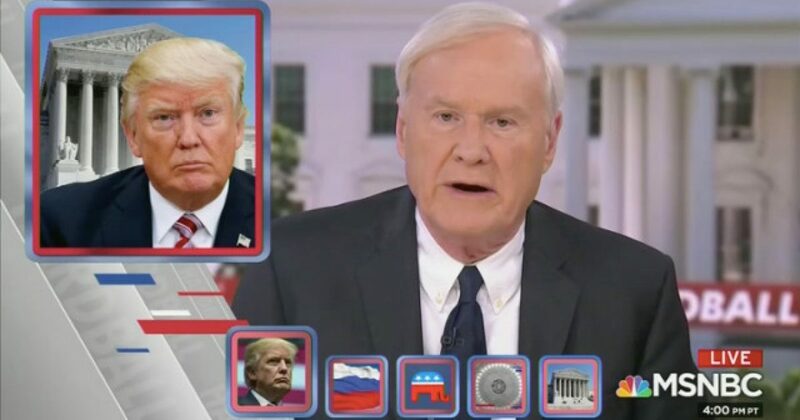 MSNBC host Chris Matthews had yet another one of his typical, overemotional meltdowns on his “Hardball” program Tuesday evening, following the decision delivered by the Supreme Court concerning Trump’s travel ban. Matthews dedicated two separate rants to his feelings about the ruling, opening up the program with a monologue that can only be described as shrill and bordering on hysterics. Matthews is a typical bleeding heart liberal who thinks from emotions rather than with logic, refusing to allow facts to guide him into ultimate truth and reality. The travel ban has nothing to do with racism. It has everything to do with holding countries who sponsor terrorism accountable for their actions and encouraging them to stand up boldly against radical Islamists, which ultimately makes the whole world safer, not just America. Terrorists have been taking full advantage of our immigration system to come to this nation from the countries on the travel ban list and nothing is being done to prevent this from happening. We must take action if we want to prevent these individuals with nefarious intentions from getting into America and harming our citizens.